thought i would start a new thread for the progress of my quad build, soon after my tri build (Still tweaking this) i finally started my QuadX build. 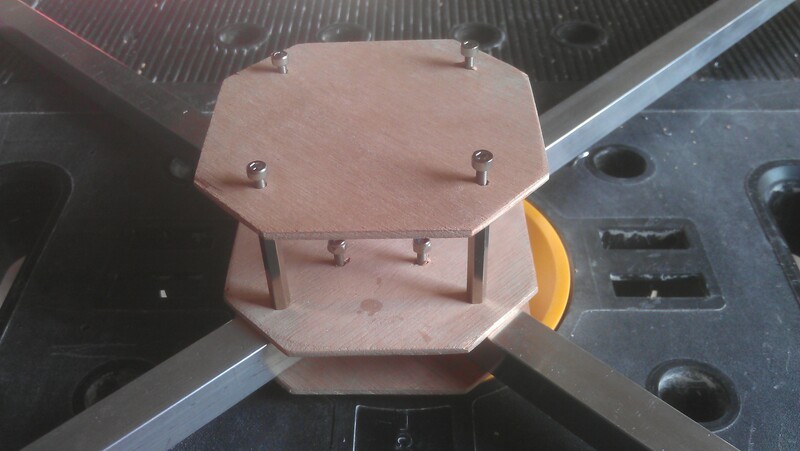 Simple 3mm Ply and 15mm x 15mm Arms. 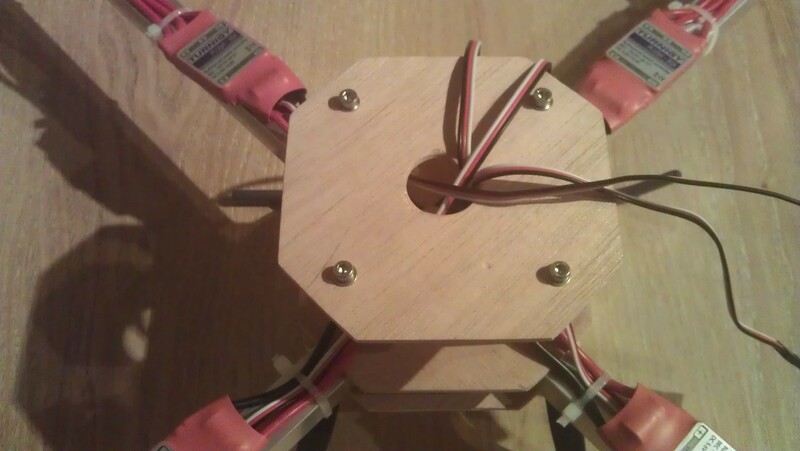 I have made this quite small as i want something to challenge me when flying. 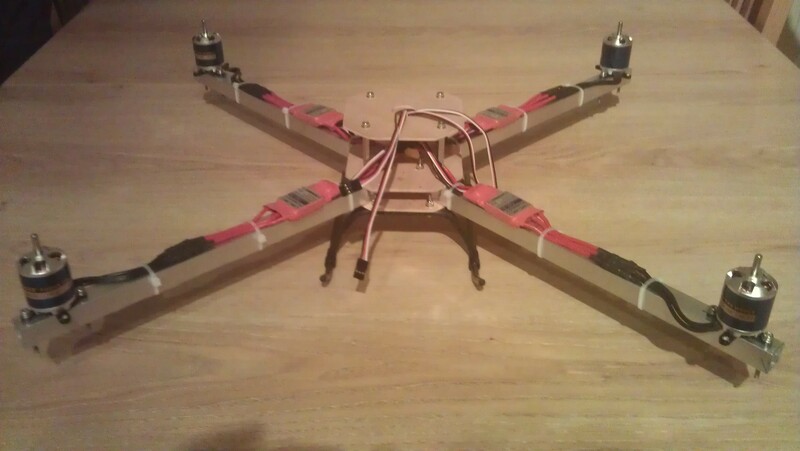 The arm lengths are all 12"(305mm) keeping the frame quite small. Looks nice, And 30 cm arms make for a sporty and fast thing to fly as you say. Top speed is probably still the same, but the agility is much larger with shorter arms. exactly what I am after I guess I may build another with larger arms for doing some Ariel video in the future but for now something to have some fun with. 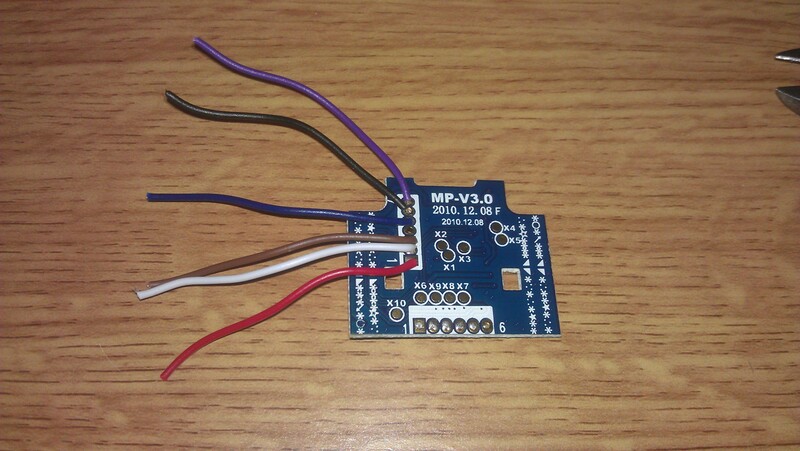 this is a WMP V3.0 which looks different to the original WMP. 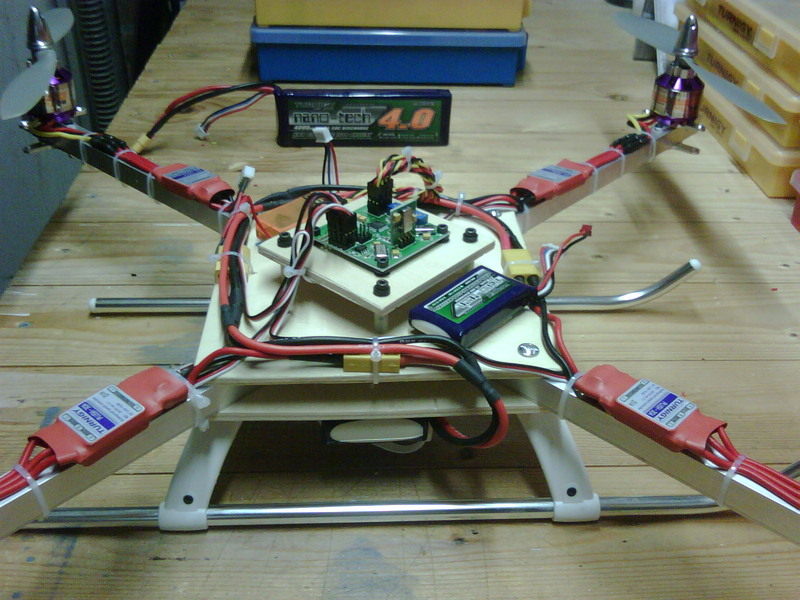 I've build a similar alloy quad. Best one i've had .. Very powerfull with the 35-size motors. Too bad I sold it. I have many more pics from that build if you want. Looks good burg. 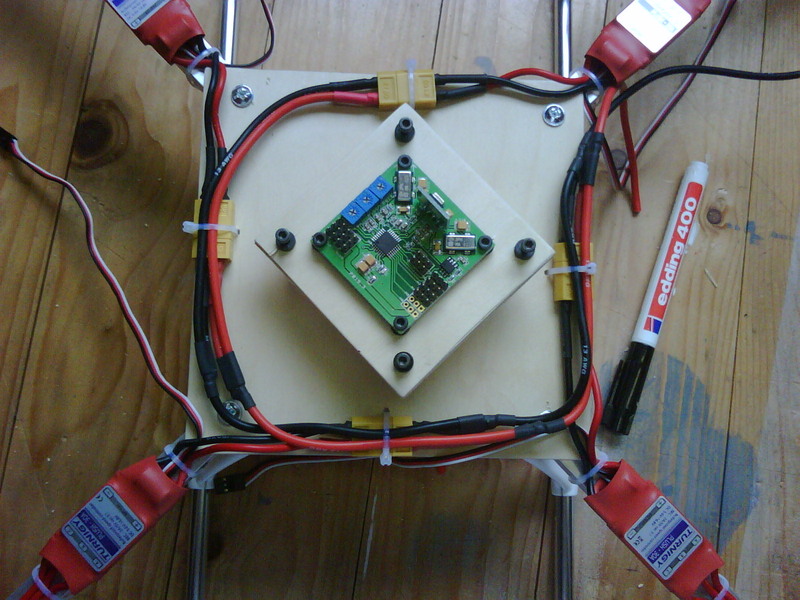 how did you create your power harness for 4 motors? 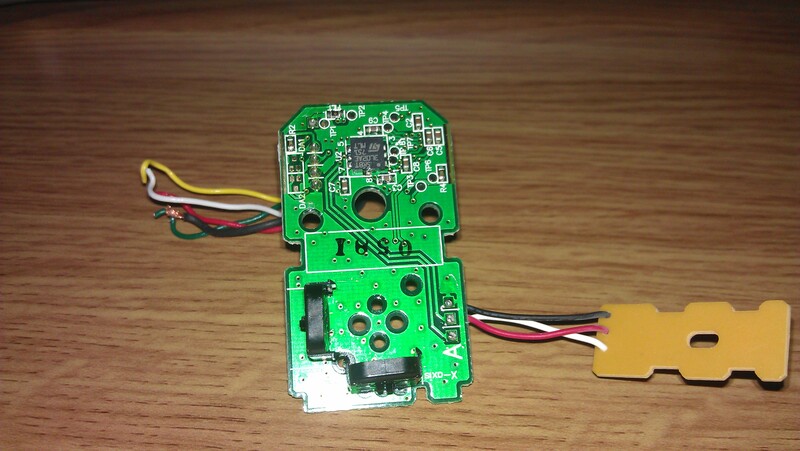 when i built the tri i found it quite hard to get three wires in one connector so i am guessing 4 will be a mare. Any ideas? 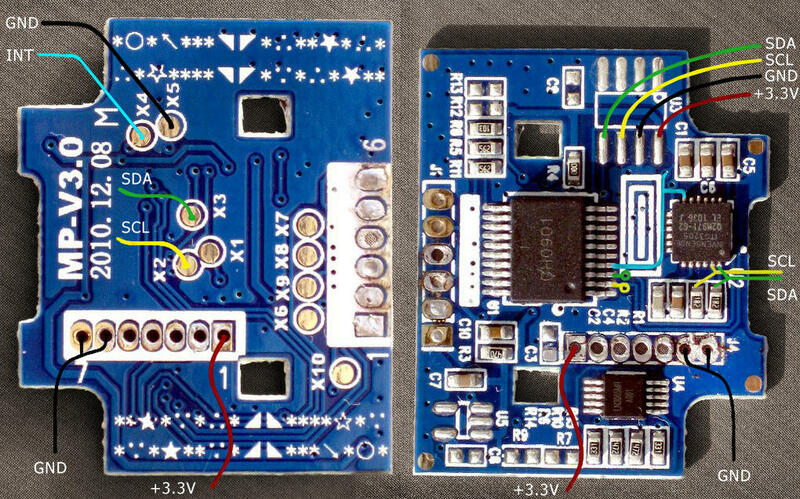 Did some research and yes this is different and requires different wiring. 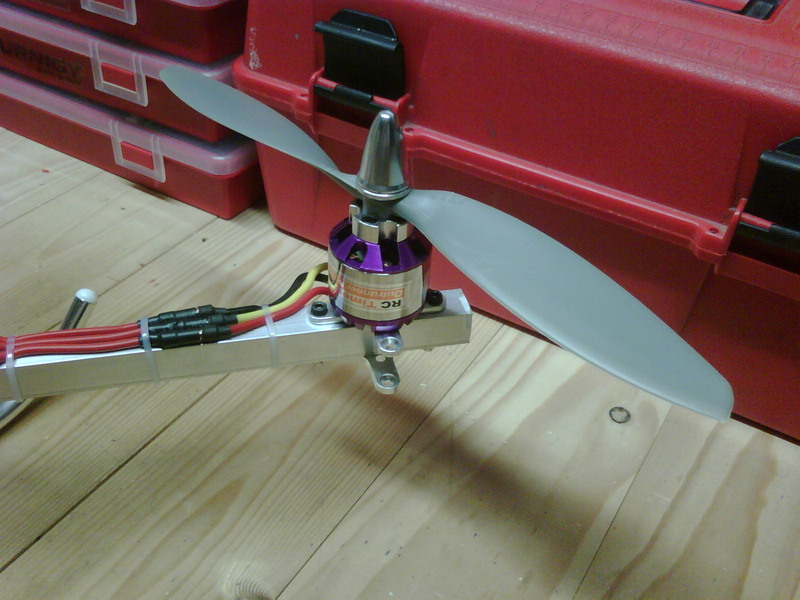 Here is how I bolted the 35-size motors. 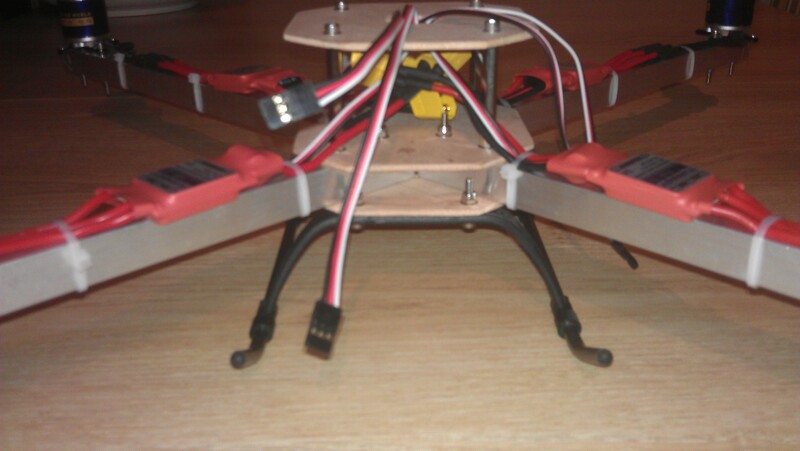 I simply use the XT60 connectors that I had fitted on the esc's. Made a loop wire and cutted small pcs of silicone out of the main wires. 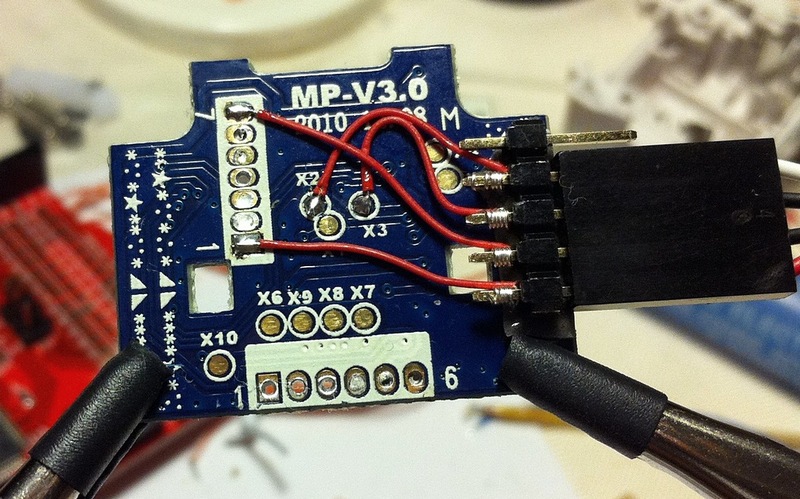 Soldered short wires paralell from there to each esc. This way you can easily use shrink tubes as well. Very easy to connect/disconnect and use for other quads afterwards. I sold this quad but missed the landing gear. 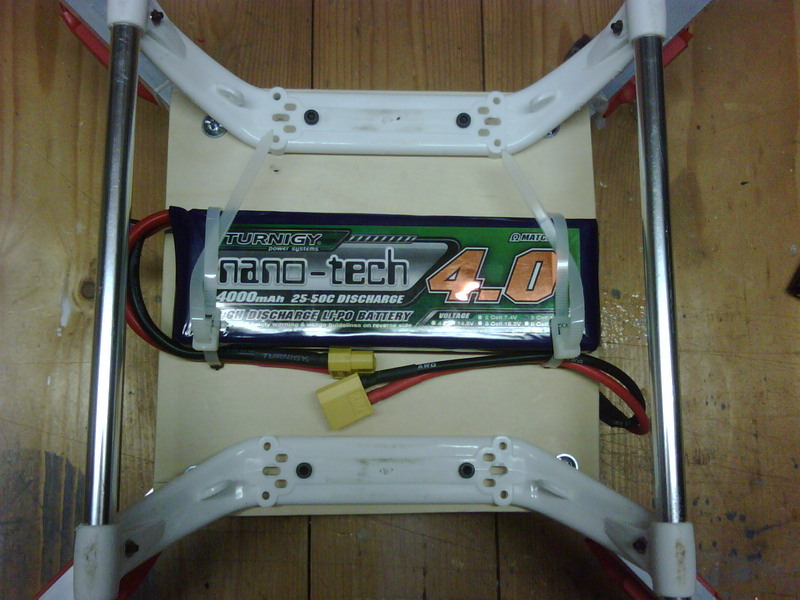 450 size landing gear was too weak but yes, perhaps great for your smaller frame..
Like to see more pics from your setup ! I started using the HK contr board but this didn't do it for me. Used an old FY-90Q controller and that worked perfectly for a while. Ended up with a KK Blackboard. 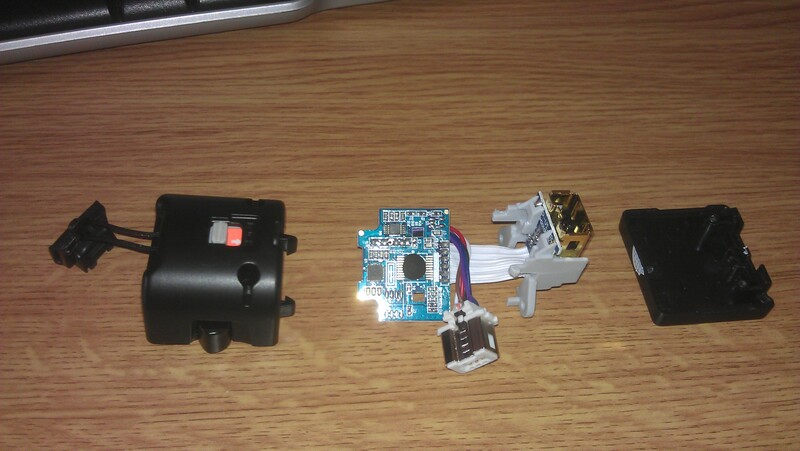 I have the parts to build a Wii + WMP + Aduino Pro Mini. .. Nunchuck (sure kids wont miss it :s) ..
Love it .. same here !! Next step is to cut off the analogue side which we dont need got to be careful not to cut any traces we will need. Only do this if yours looks like mine. Clones have a track that runs all the way around the board. Everyone of the clones are different so they say. I think i am missing something! cant think what !! 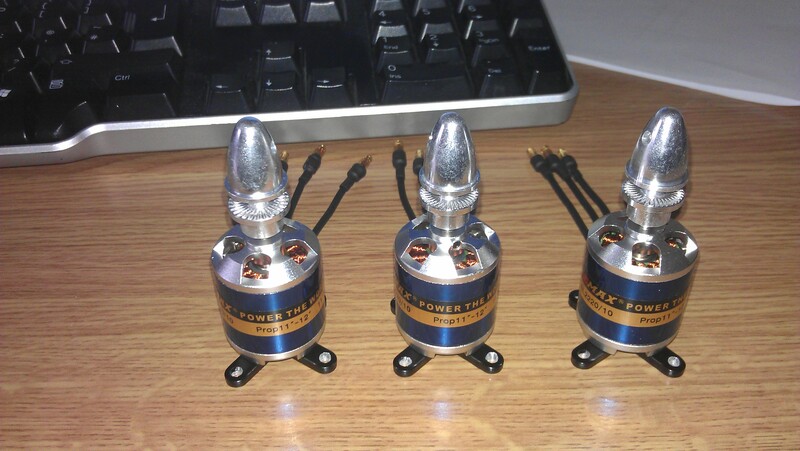 Are those Emax 2220/10 930kv motors ? What are you planning to lift ? 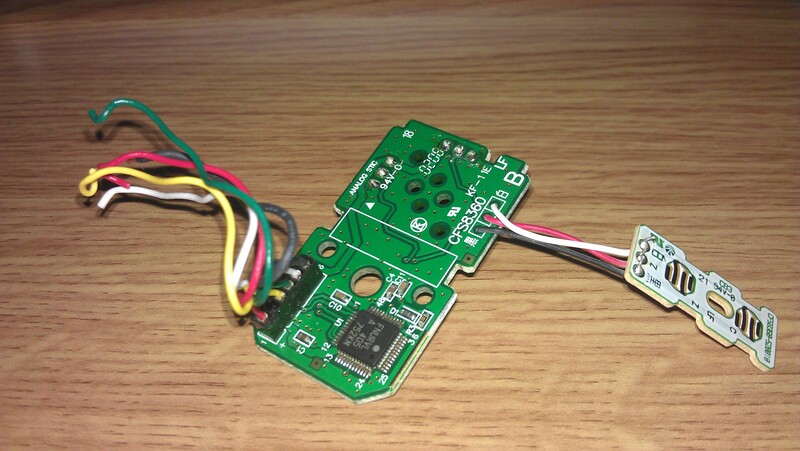 I fly my tricopter right now with a old 20C rated battery. Lets just say it is not a good idea. The voltage breaks in hard. Well managed to get a bit more done last night before beer o clock. 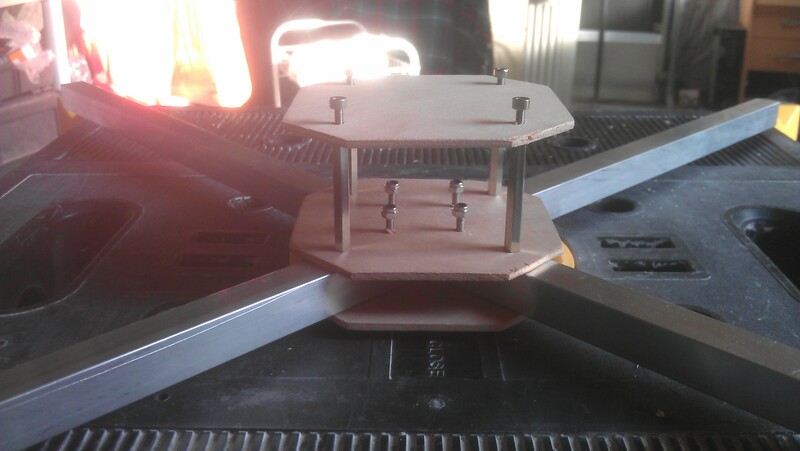 not sure on the 450 landing gear though but i guess we shall see how it fairs. 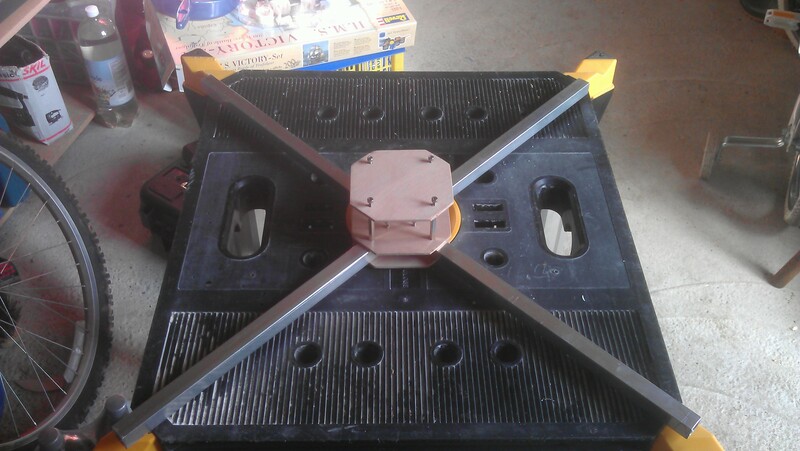 Just need the bits for my control board. 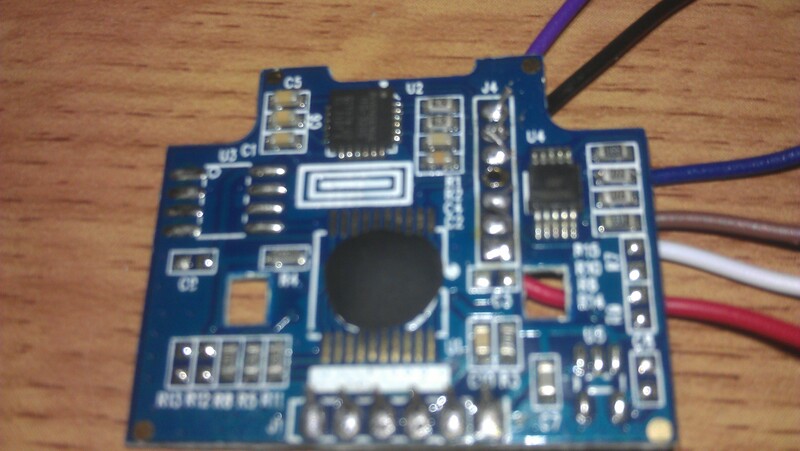 I have the spare V2.1 HK board so might wire this in to see how she flys? We shall see i am ordering a new one for it yes. going to test fly with 30c i have already so we shall see. As for esc's will have to see. Gone with Turnigy Plush 30A. i have been lead to believe will draw around 20A with 10.4.7 props so we shall see. if i need more thrust i can always go a bit bigger on the props.